In Australia we have around 170 species of snakes including sea snakes and burrowing snakes, 30 of which are considered to have life-threatening venom. 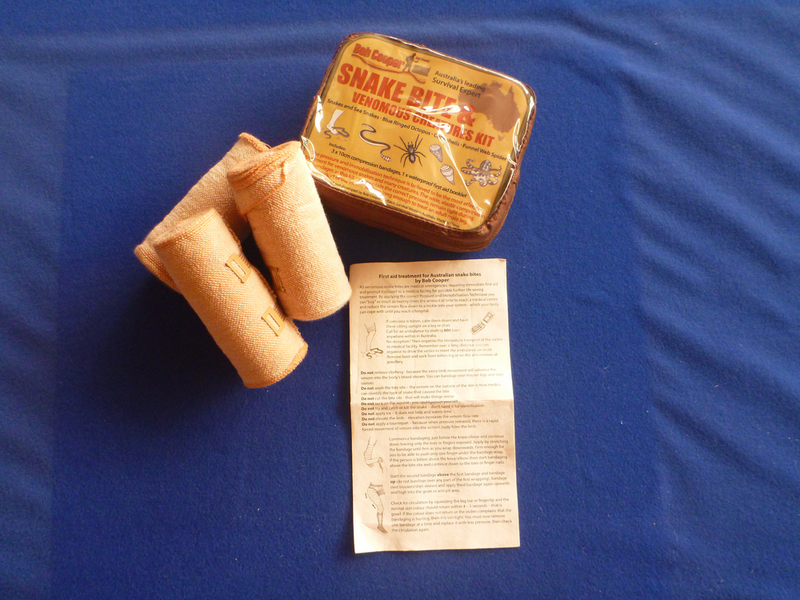 The most effective first aid treatment for venomous snakes and many creatures is the pressure and immobilisation technique. Unlike many first aid kits that contain non-elastic crepe bandages, this kit has three 10cm compression bandages that can maintain the correct pressure and will remain tight during transport of the victim. Three bandages are necessary to apply pressure to an adult male's leg. 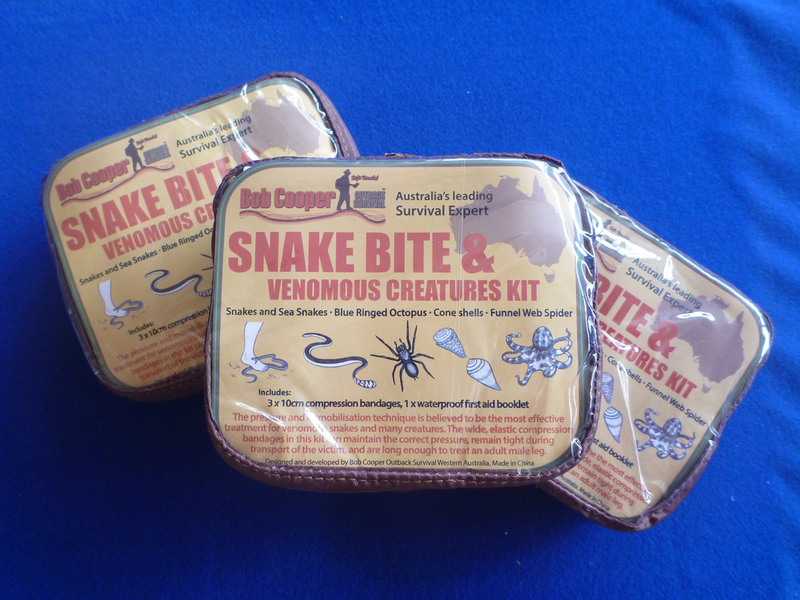 The included first aid sheet can equip you with the know-how to handle bites and stings from the following deadly Australian creatures: land, sea and burrowing snakes, funnel web spiders, blue ringed octopus, and cone shells. A must have in all first aid kits, backpacks and glove boxes.